SKYPAD is a boundary-pushing remote and creative automation tool that runs on any iOS or Android tablet with Liine’s Lemur (MIDI/OSC controller) app installed. It adds hands-on control of every parameter in ORBIT and ECLIPSE, and, more importantly, adds many brand-new features to Wide Blue Sound’s software synthesizer flagships. Firstly, SKYPAD’s Generator builds upon ORBIT and ECLIPSE’s Intelligent Randomize feature to create new patches based on musical and emotional keywords. It is the fastest way to make custom presets that simply sound fantastic! Furthermore, the Multiball page controls any parameters in the entire synth with a fun physics-based interface. Here SKYPAD users can quickly move objects around the screen with multi-touch, then record the result in their DAW (Digital Audio Workstation)! The Spatial Mixer is an intuitive 3D space mixer. Here users can place each of the synth’s four sound sources in virtual space with their fingers or enable the Earth Gravity mode by moving the tablet itself. Indeed, this creative tool uses a hand-crafted combination of panning, filters, reverb, and delay to create a sense of distance and depth. 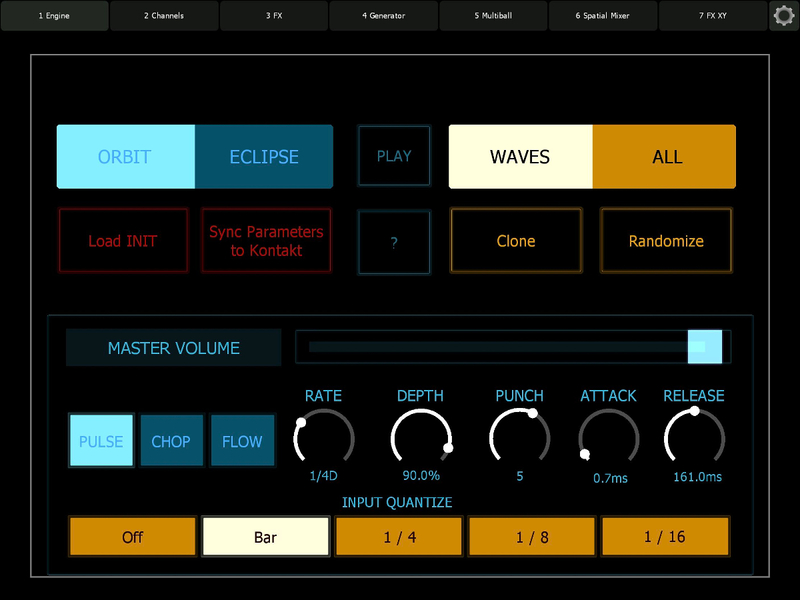 SKYPAD’s FX XY macro pads combine ORBIT and ECLIPSE’s essential effects parameters together. This time users can quickly shape sounds using simple gestures, generating dramatic sweeping motions between different distortions, spaces, and more. Meanwhile, Wide Blue Sound has also released the APEX and AETERNA expansion packs for ORBIT and ECLIPSE, respectively. Created by one of the industry’s most revered sound designers, they represent the latest trends in electronic and cinematic music. SKYPAD now comes included with every purchase of ORBIT and ECLIPSE — priced at $199.00 USD and $149.00 USD, respectively, and available directly from Wide Blue Sound (https://widebluesound.com). APEX and AETERNA are available at an attractive introductory promo price of $29.00 USD each — $39.00 USD each, thereafter — from Wide Blue Sound (https://widebluesound.com), where audio demos can also be heard.